I bought an obscene amount of plaids recently. It's this whole idea of school clothes that makes me think of uniforms. I wore a school uniform from the time I began school at 6 to the time I left, at 18. I loved uniforms. I picked my schools according to the uniforms of the students. Very shallow, yes, but I was a teenager and I didn't want to wear ugly clothes to school all year. Perfectly valid reasoning at the time. 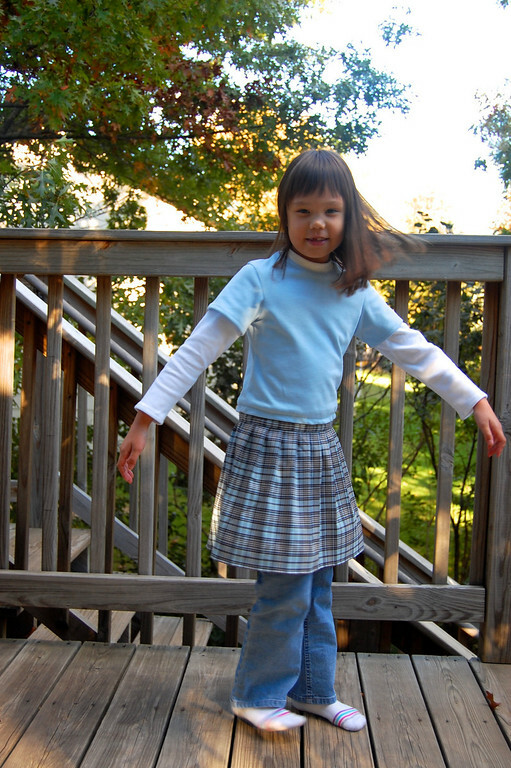 I am still getting used to the idea that kids in the US wear all kinds of clothes to school. When I worked as a guidance counselor in a middle school for instance, the girls sometimes wore pyjamas and bunny bedroom slippers to school. Eh????? I don't get it. 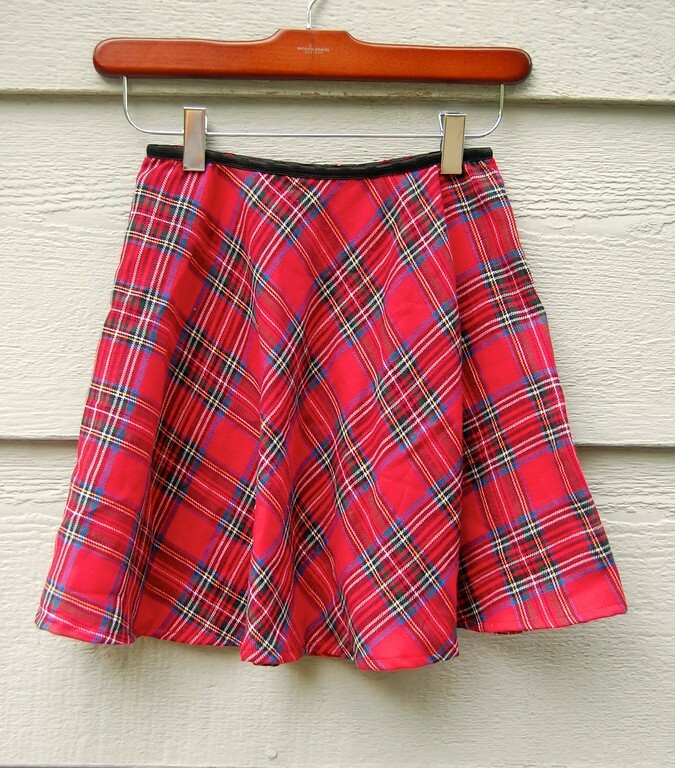 So now that I'm sewing some school clothes for Emily, I'm leaning heavily towards the plaids and pleats. 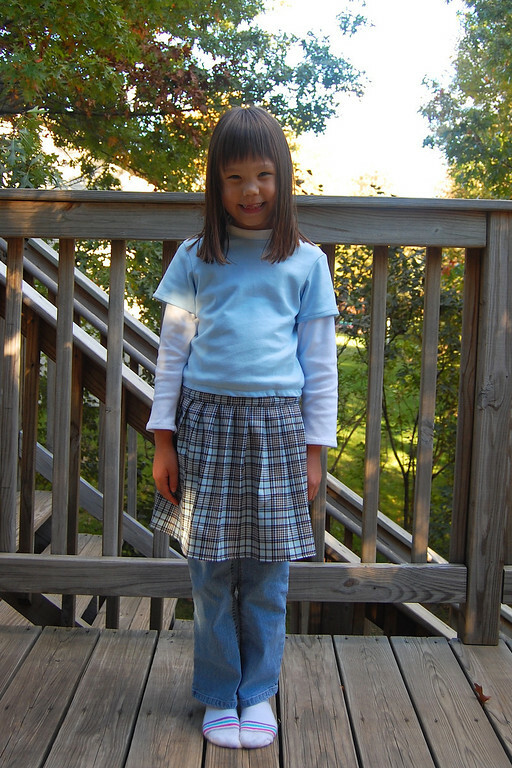 This is a semi-circular skirt with fold-over elastic. 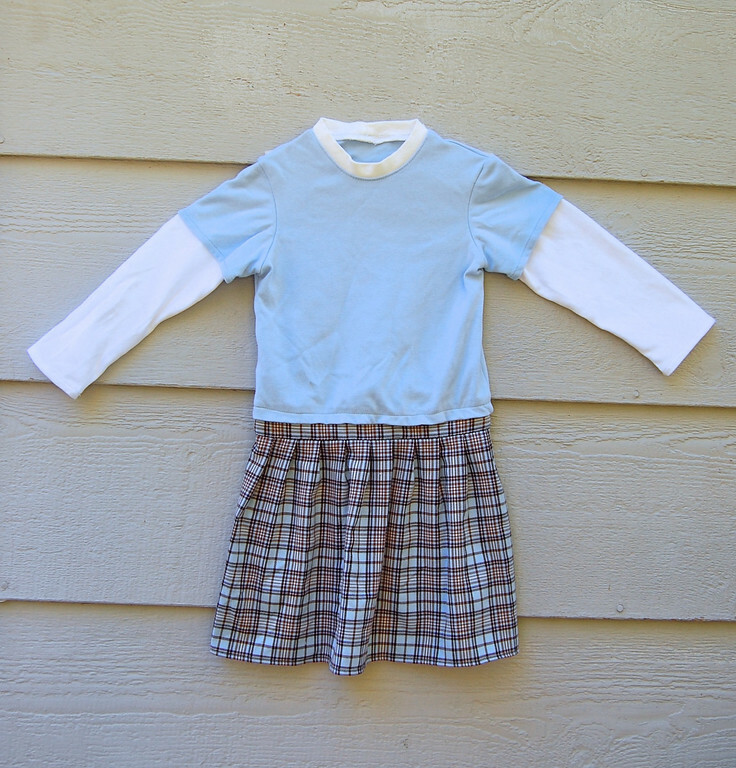 As far as the more robust fabrics of fall and winter go, semi-circular skirts are nice for little girls who might be otherwise overwhelmed by a full circular skirt (unless it is gauzy and used for dance!) They get a nice twirl and I get to save on fabric. This is an inverted box pleat skirt with a teeny bit of elastic at the sides of the waist, just enough so it can be pulled up over the hips. Not an instant hit with Emily - she says it fits nicely but says it's "more of a church skirt", whatever that means. It didn't grab me as fabulous either, when I was done with it. Many reasons - stiffish fabric, shallow pleats, weird general styling. It would've had a better life as a tablecloth, honestly. Well, all part of experimenting to figure out what works visually and fit-wise, and this one didn't quite make it visually. Next! Then decided it was so jarring that I thought I had better add white somewhere else so it didn't look like the accident that it was. 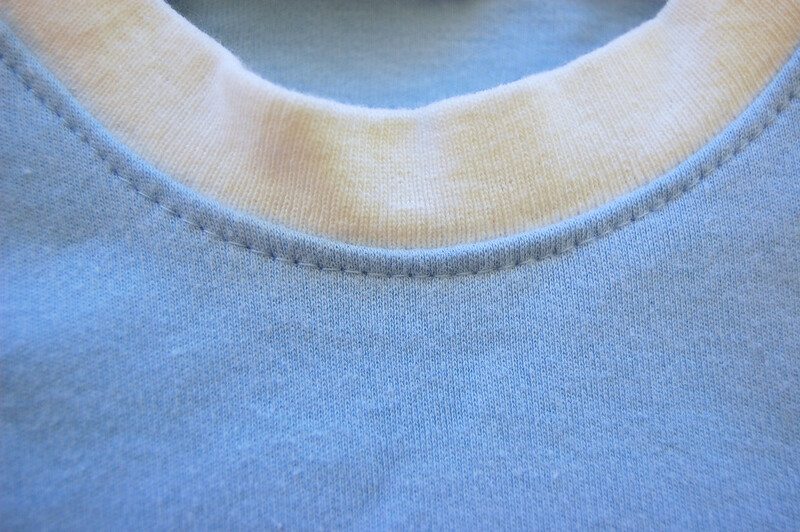 So then added a second sleeve layer. Funny how it all compounded. In spite of how this design sort of ran away by itself, it was quite fast to put together. This was one of those happy accidents because Emily really likes it. And so does Jenna - she has asked for a dress just like this but in "dark purple, light red and dark yellow." Anyway, it's a keeper. I'll probably make her a few more like these, since they pull on easily over the head and are comfortable and warm because of the knit. And Jenna too, except with a slightly less er.... psychedelic color combo than what she requested (what is "light red"? Is that a euphemism for "pink"?). More plaids to come. And hopefully corduroys. I LOVE Jenna's requested color combination - that's a girl who thinks for herself! They are all so cute! 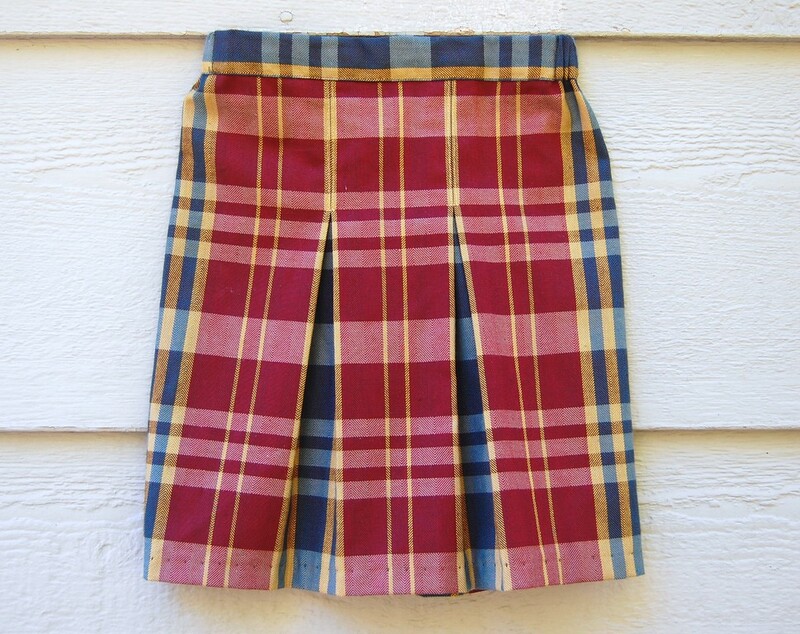 I had a skirt made out of that same red plaid back in Jr. High. It was my favourite! I'm loving the semi circular skirt, the bias makes it look so cute. I love them, the half-circle one is great ! 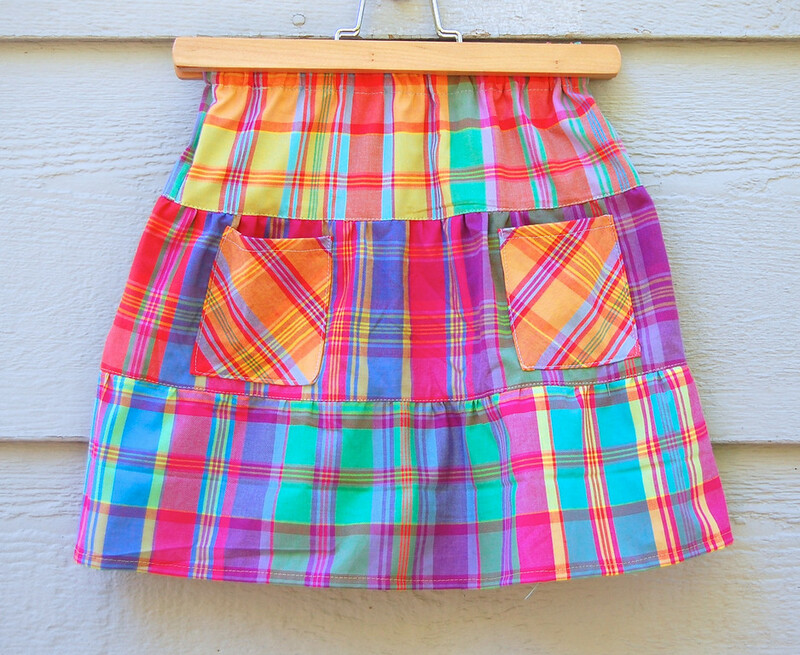 I'm currently making one for my daughter also, she picked the fabric herself at Joann (she is 4 1/2), you should have a look, it's a plaid in dark purple with pink and yellow... it might work for your Jenna ! I'm having some issues to hem it (the pleats don't stay with the double thickness), but I did a full-pleated shirt that crosses in front, like a kilt. Cute things! I like the peek-a-boo interest of the boxed pleat skirt. Also love school uniforms. My kids are in a charter school for the first time. Love the discipline that accompanies the chinos and polos. 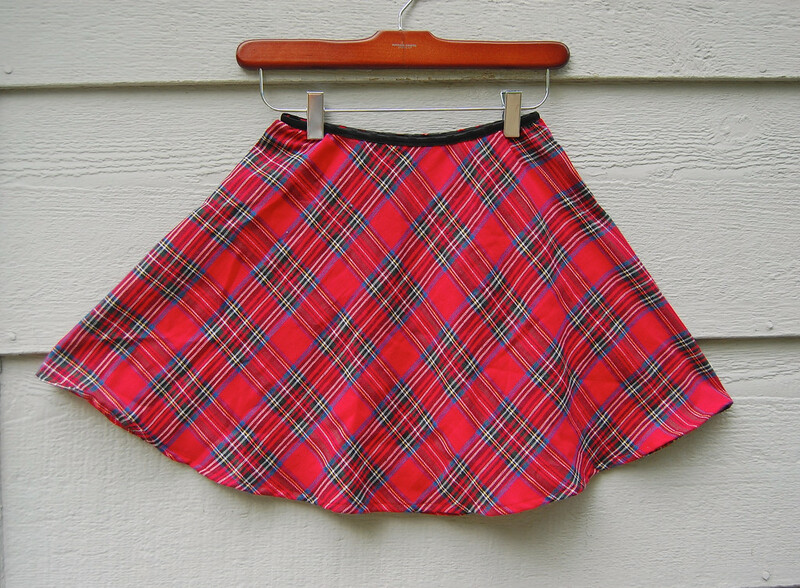 Now for some cute plaid semi-circle skirts. You are inspiration once again. I lurrrrv school uniforms - I wore them until 8th grade at a Mennonite school (and everyone thought we were Catholic when we were on a field trip). The public schools in my city have uniforms, but alas, no plaid. Because I ADORE plaid. I keep buying it but I'm scared to sew with it. Thanks for the tip on the half circle skirt. I know my girl would like that twirl. Oh, forgot to say ... my favourite ones are the first and the last one. SOOOO beautiful!! !